Alfonso is a Ph.D. student in the Faculty of Laws, University College London (UK). He holds a B.A. from the University of Toronto, a J.D. from Queen’s University, and an LL.M. from the University of Western Ontario. In 2017, he will be a Visiting Professor at Western’s Faculty of Law, teaching comparative and international insolvency law. Previously, Alfonso was called to the Bar of Ontario and practiced corporate and commercial law in Toronto. 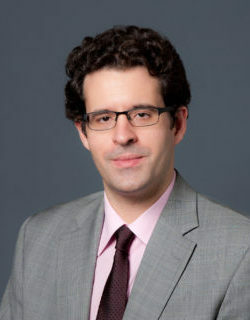 His research focuses on corporate insolvency and restructuring law from a comparative perspective. Alfonso received a number of academic scholarships and prizes during his studies and has published a number of articles and spoken at academic conferences in these areas.